Today’s photo of the week is of an Antipodes Island parakeet at Pukaha Mount Bruce. Six female parakeets became the newest residents at the National Wildlife Centre in the Wairarapa last week. 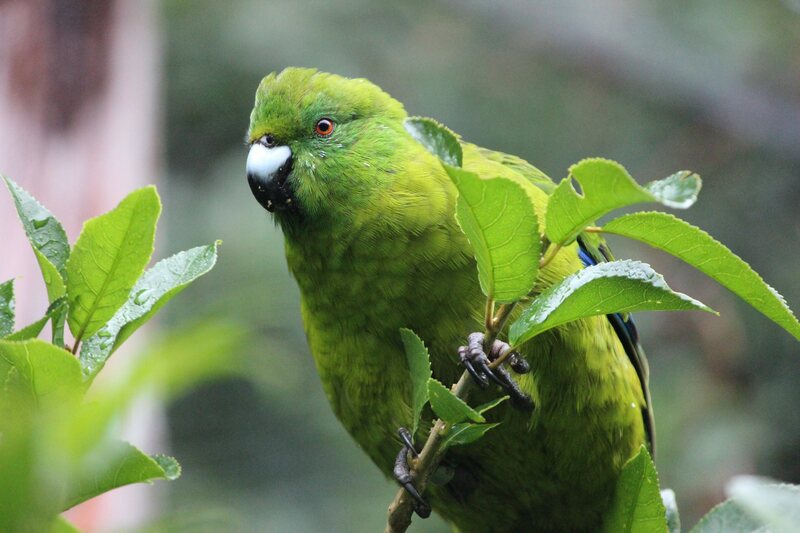 The largest of the kākāriki family, the Antipodes Island parakeet is endemic to New Zealand’s subantarctic Antipodes Islands. While the parakeets aren’t endangered on the Antipodes Islands, an insurance population is held in captivity on the mainland. This is the first new species to be held at Pukaha for over eight years. If you’re in the Wairarapa, be sure to pop in and visit the new arrivals.